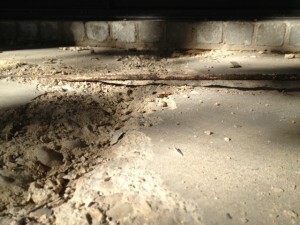 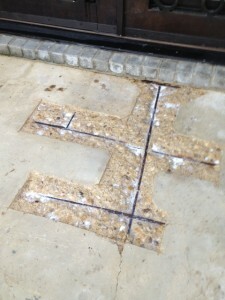 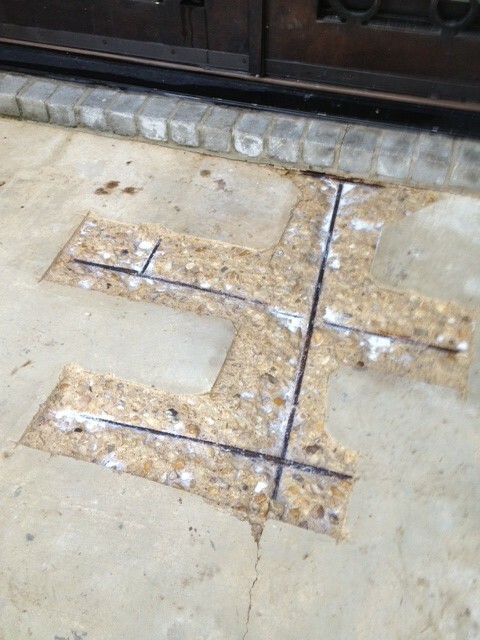 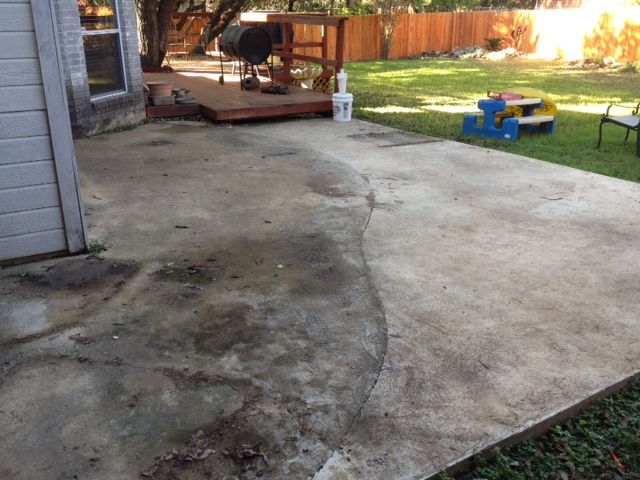 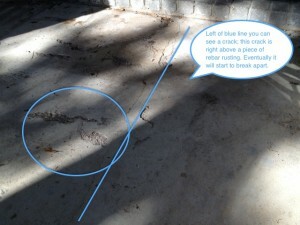 There isn’t just the option of tearing out and replacing old worn down concrete. 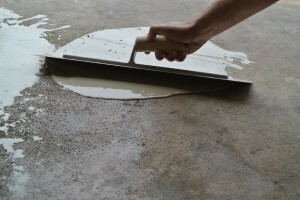 You have the option to use a modified-polymer cement to resurface the concrete, just as long as the concrete is structurally suitable. 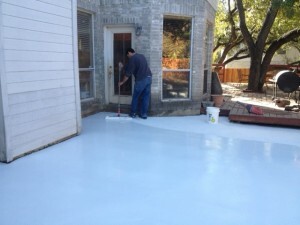 Typical concrete resurfacing applications are used for restoring concrete that has been eroded, coated with a paint that is peeling off, concrete with a bad surface finish, concrete with shrinkage cracks, and spalled concrete. After the concrete has been resurfaced it can then be either sealed the way it is or the concrete can be stained using an acid stain or dye. 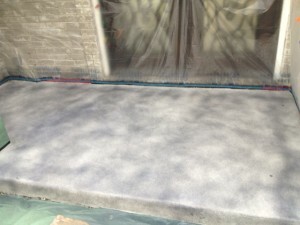 Concrete resurfacing can be done inside and outside and the product we use is very durable for heavy traffic applications such as retail stores and parking garages. 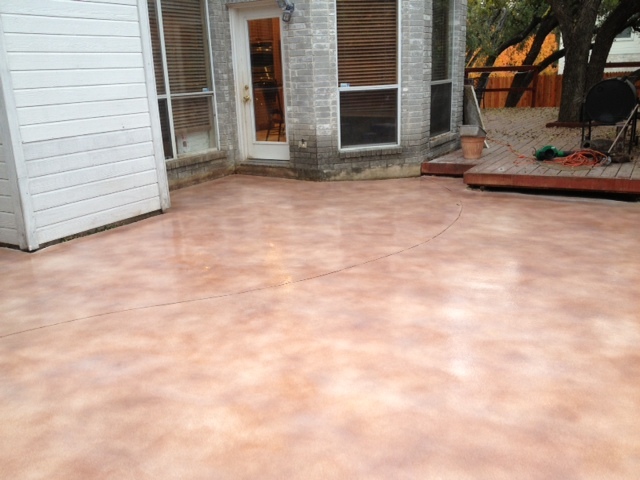 It can be applied with ether a smooth finish, skipped troweled finish, or a sand finish for exterior applications. 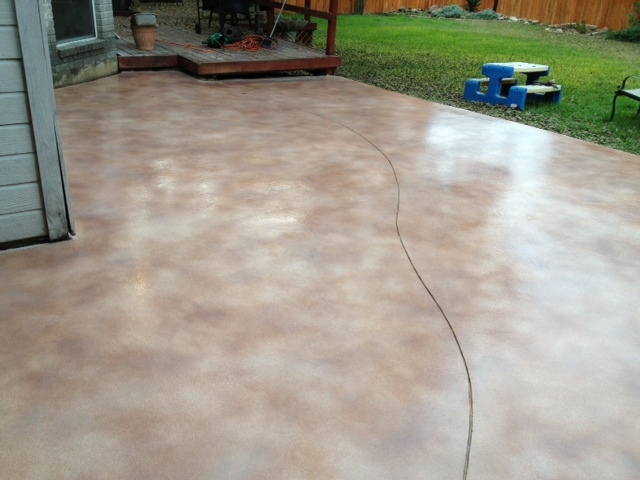 Pitted concrete is being resurfaced before acid staining.